Here is the latest completed painting in my quest to complete 1 painting per week. 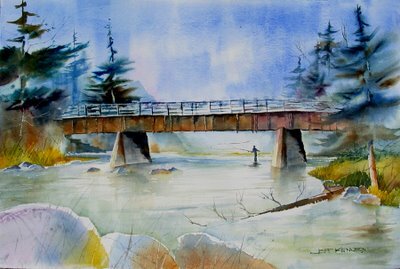 Fishing on the Fox-watercolor- 15" x 22" is one of the fishing spots near my home. I have some alternate viewpoints which I will paint .